I’ve photographed dogs at weddings a few times. 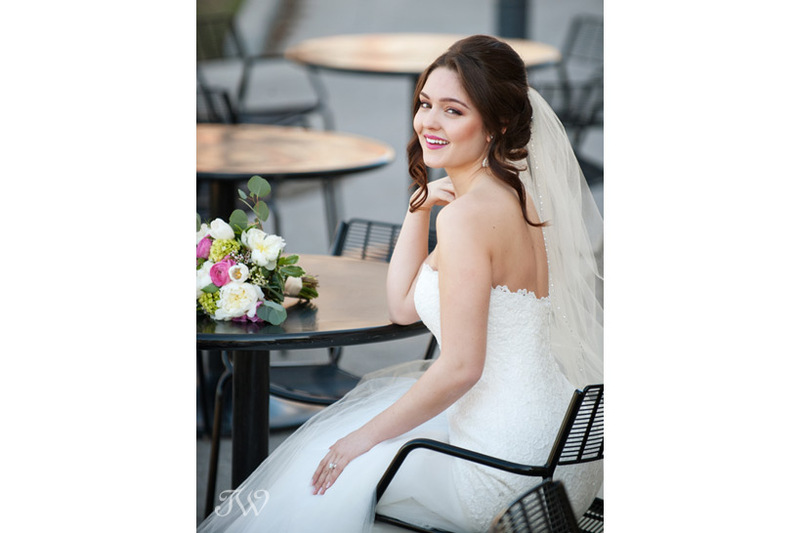 For throwback Thursday, I’m taking a look back at this Heritage Park photo shoot filled with Downton Abbey inspiration. There were pearls, top hats and a glittering wedding dress, but it was Monty here that stole the show. Gabrielle and Randy included their dog Linus in their downtown engagement session, if you’d like to see. 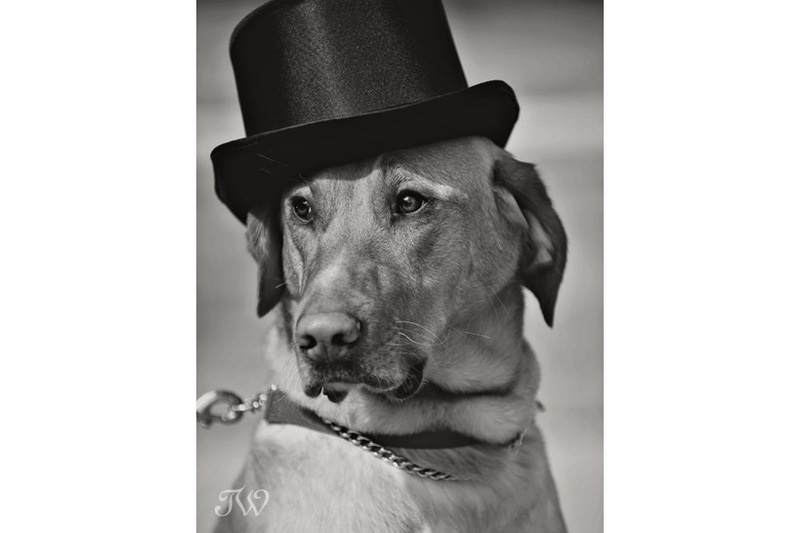 Dogs at weddings captured by Calgary Wedding Photographer – Tara Whittaker. “Live like there’s no midnight”. I’m not really a fairy tale kind of gal. In our 5th grade production of Cinderella, I played the wicked Stepmother (and I was good). 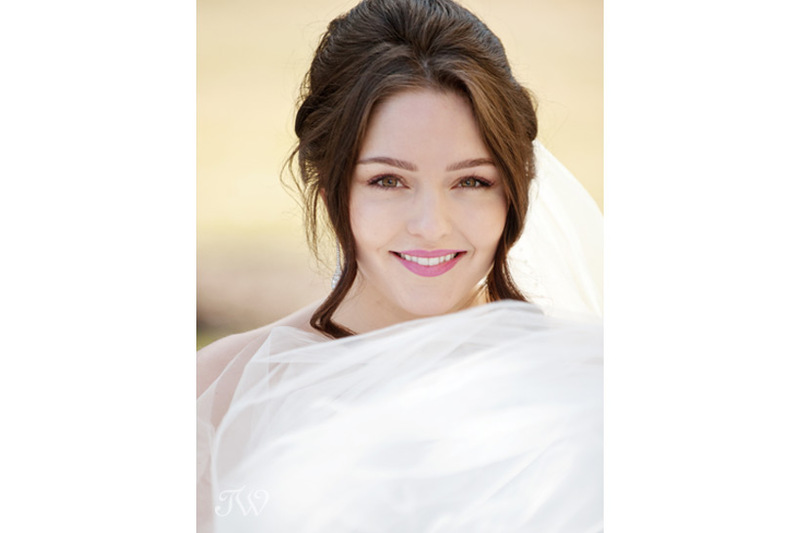 This shoot with the lovely Serena and a gorgeous Romona Keveza gown from Cameo & Cufflinks, made me a believer. A big thank you to everyone involved that day. Scroll to the end of the post and give them a hand. Here’s the sneak peek from this shoot, if you’d like to see. 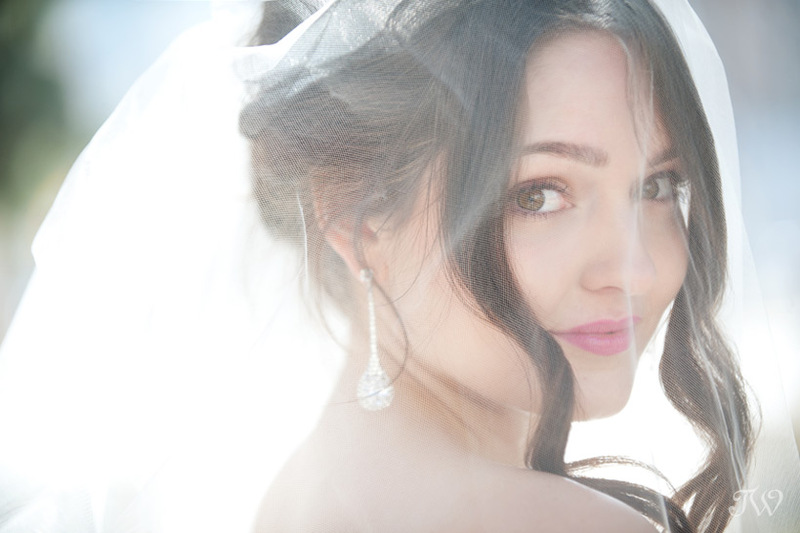 Cameo & Cufflinks provided the Romona Keveza bridal gown, “Radiance” veil by Toni Federici and earrings from Haute Bride. The spring bouquet is by Fleurish Flower Shop. Thank you Serena, you were gorgeous! Like most Calgarians, I was glued to the TV on Saturday night, watching the Flames advance to the next round of the play-offs. “Johnny Hockey” is my personal favourite. This morning I’m having my own little “C of red”. I dug through past blog posts looking for red wedding ideas and I found some good ones. Go Flames! 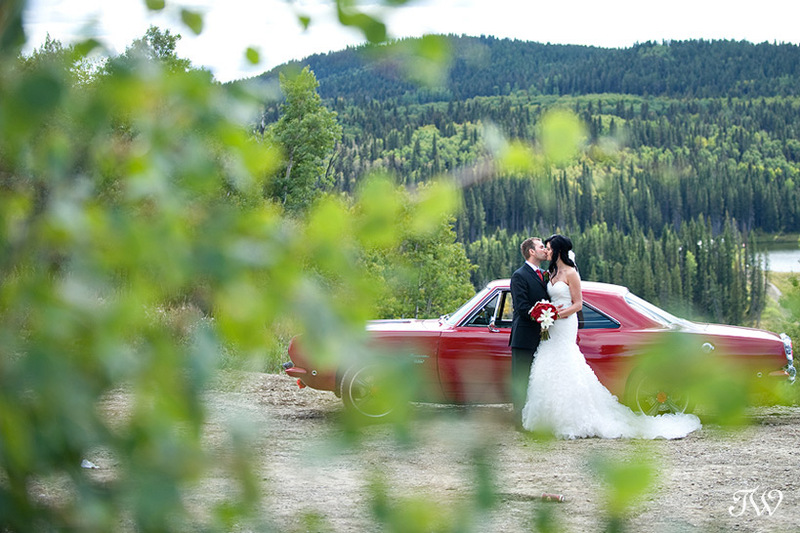 Sarah and Bryce had the ultimate candy-apple red getaway car (a Barracuda) after their Priddis Greens ceremony. 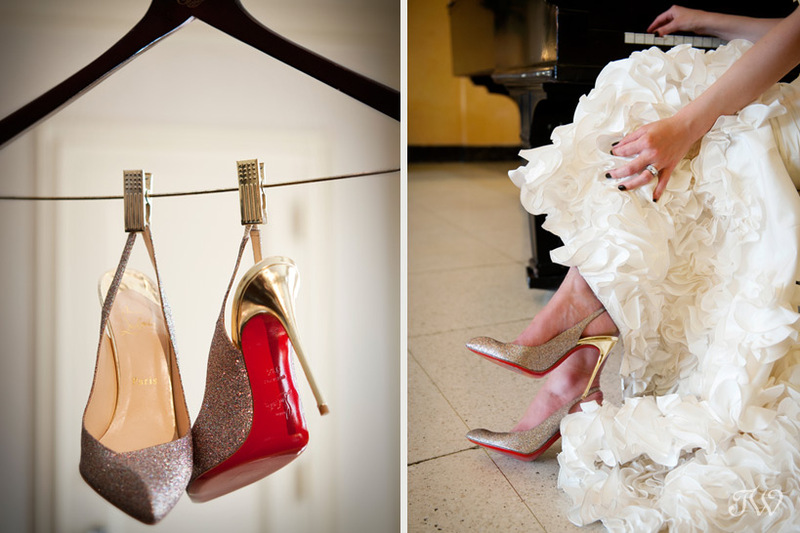 Christian Louboutins…my preferred use of red. These were the shoes Gabrielle wore to marry Randy at The Fairmont Banff Springs. 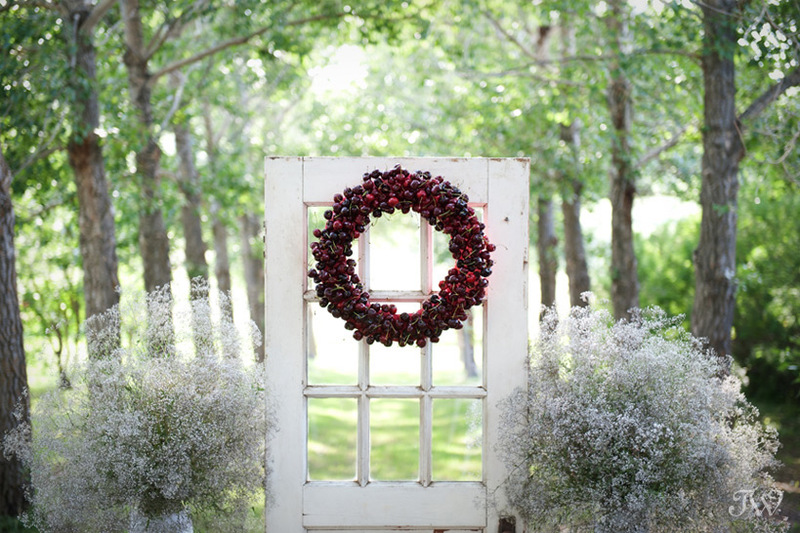 Love this ceremony backdrop and the wreath made entirely of fresh, red cherries. The vintage door is from Blush Vintage Rentals. 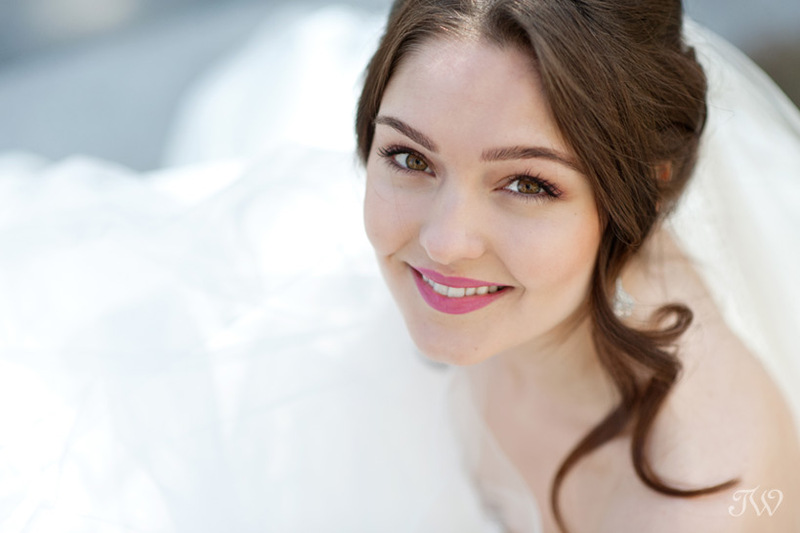 Here’s more from this summer inspiration shoot, if you’d like to see. How about a red gown for the bridesmaids (or even the bride)? This vintage prom dress was from Pretty Little Things. 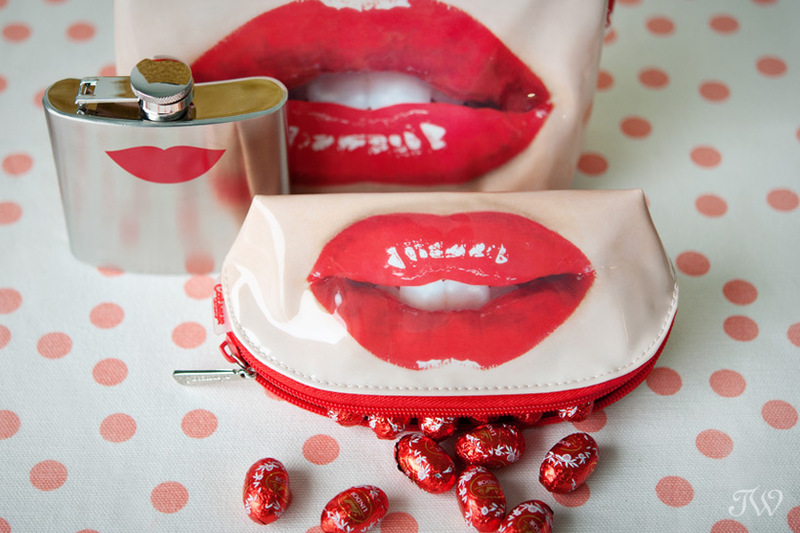 Fun gifts for your bridesmaids in our hometown shade perhaps? You’ll find these at The Social Page. 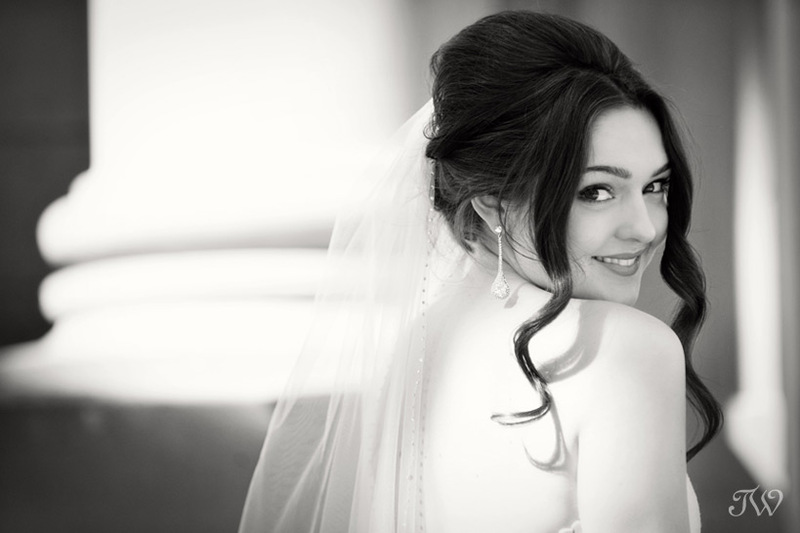 Red wedding ideas captured by Calgary Wedding Photographer – Tara Whittaker. You know what they say about Mondays? “May your coffee be strong and your Monday be short”. I hope these sparkly wedding shoes will get you in the right mood for the week to come. They are from a photo shoot with Adorn Boutique, Ollia Macarons & Tea and Flowers by Janie. 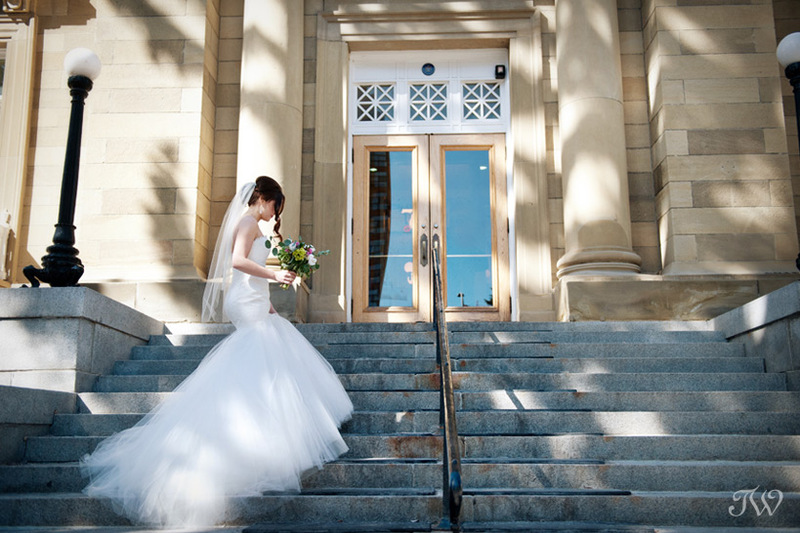 Image of sparkly wedding shoes captured by Calgary Wedding Photographer – Tara Whittaker. 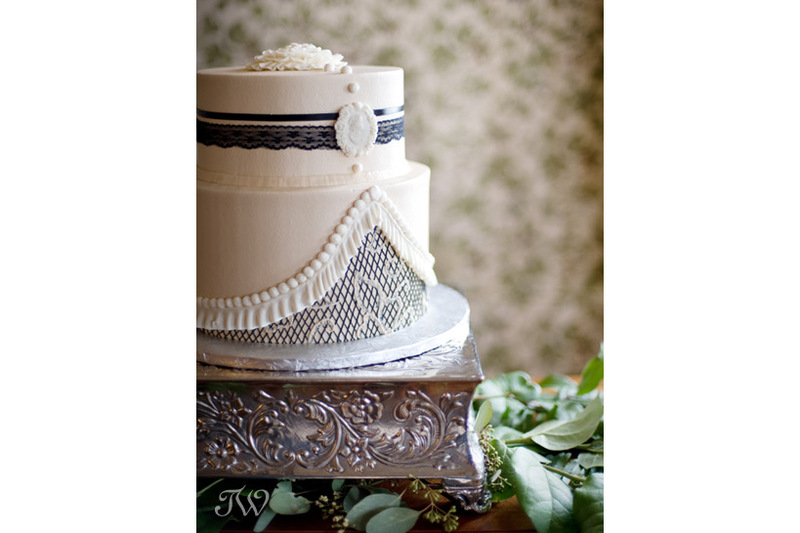 I was recently scrolling through the archives and stumbled across this gorgeous cake created by Cakeworks for a Dowton Abbey-styled wedding. I love the lace, the buttons and the cameo. Yup, some wedding cake ideas are just too sweet not to share. Not long ago I compiled a few wedding cake favourites, if you’d like to see. 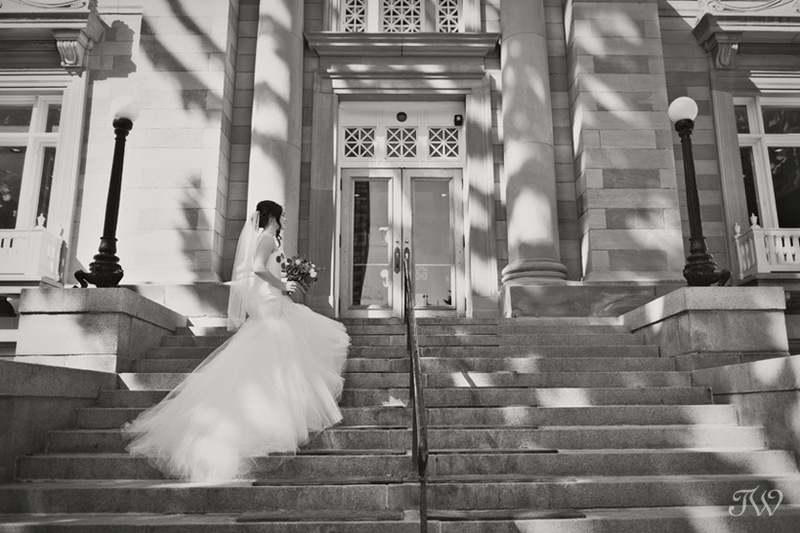 Wedding cake ideas captured by Calgary Wedding Photographer – Tara Whittaker. I’ve definitely grown tired of the long, colourless winter here in Calgary. 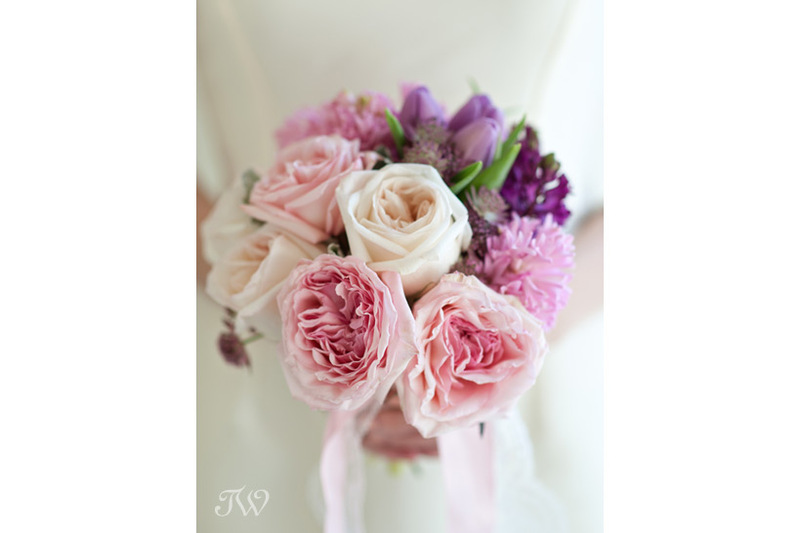 I’m sure that’s why these spring bridal bouquets make me so happy. I spy a peony. 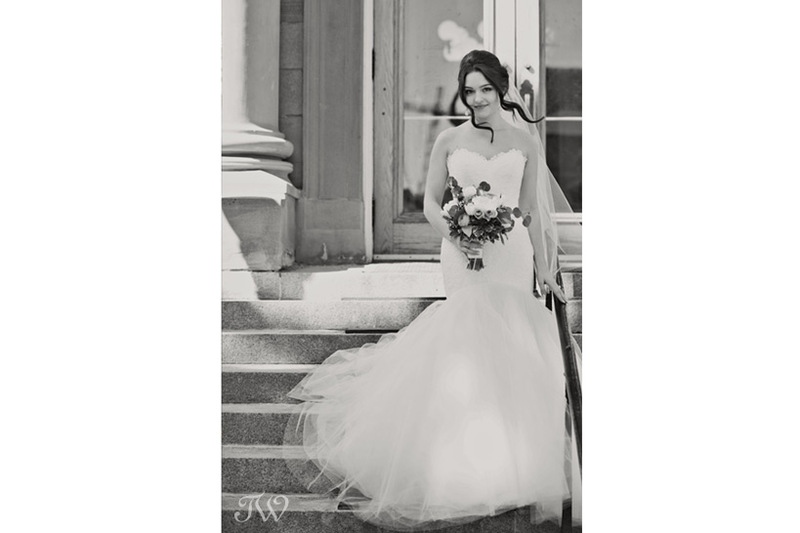 This is a bouquet is by Jaime from Fleurish Flower Shop and was carried by the bride in a recent photo shoot. 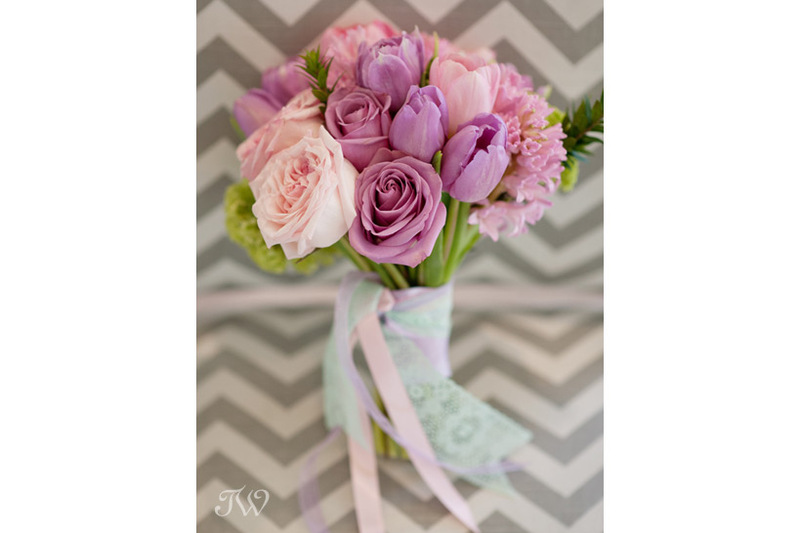 There’s plenty of pretty in this bouquet from Flowers by Janie including purple tulips, purple and pink hyacinth, astrantia, and pink and white O’Hara garden roses. 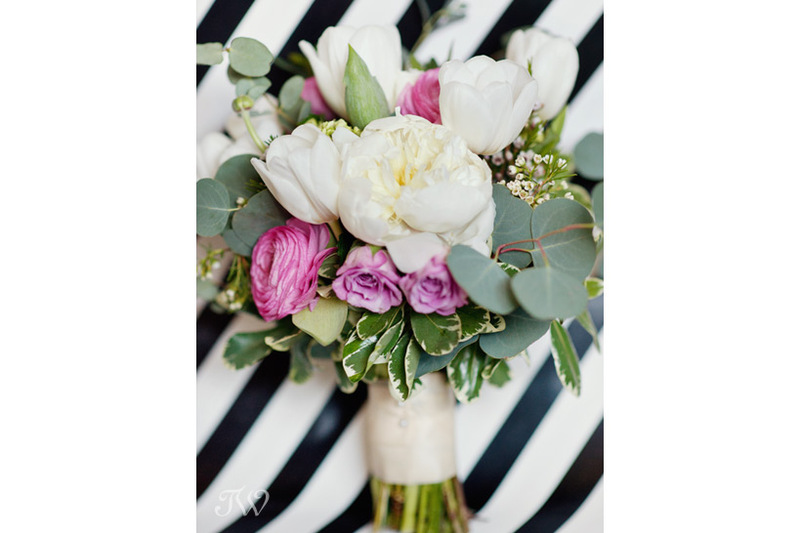 I love the touch of mint lace that Janelle from Flowers by Janie wrapped around this bouquet comprised of tulips, viburnum, hyacinths, cool water lavender roses and pink O’hara garden roses. These next two arrangements from Sarah Mayerson Design have a different (though no less romantic) feel. 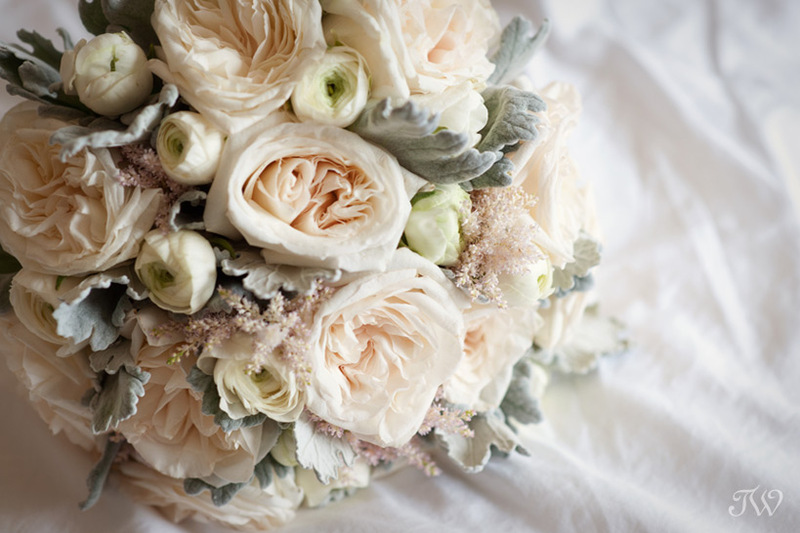 The soft, muted tones of blush garden roses, ranunculus, astilbe and dusty miller are so dreamy. 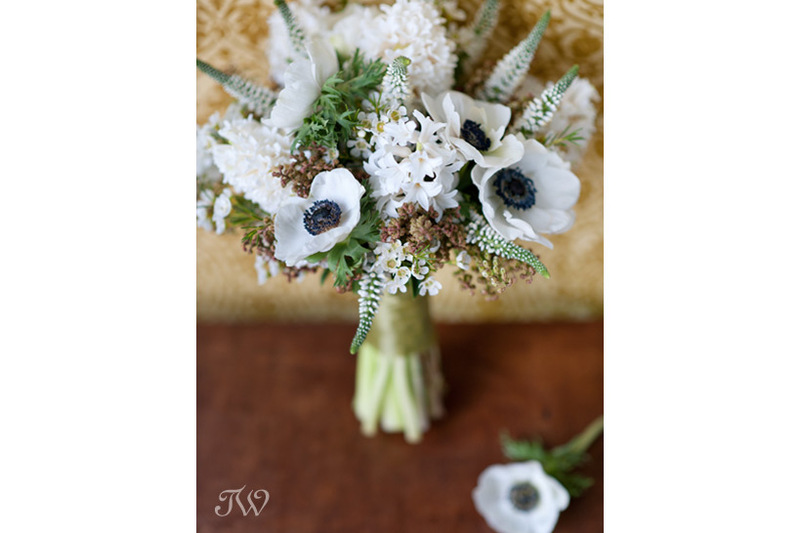 To me this bouquet with anemones and hyacinth has a bit of a country feel. It was part of a photo shoot featuring bridal shoes, if you’d like to see.